One third ownerdship now available! As of September 2017, Bomber offspring have won 37 banners! 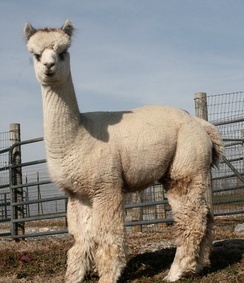 He is producing exceptional offspring, and at our farm the Orlando/Bomber/Tres mixes have been stellar. 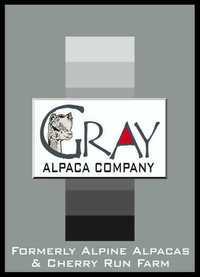 Bomber will return to Gray Alpaca Co. in the fall, 2019. At almost every show in 2017 in the mid west or east coast, a Bomber offspring or two, has won banners! 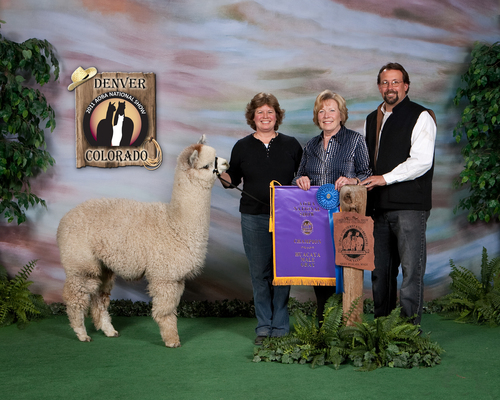 Bomber's Avery just won Color Champion at Futurity, 2016! 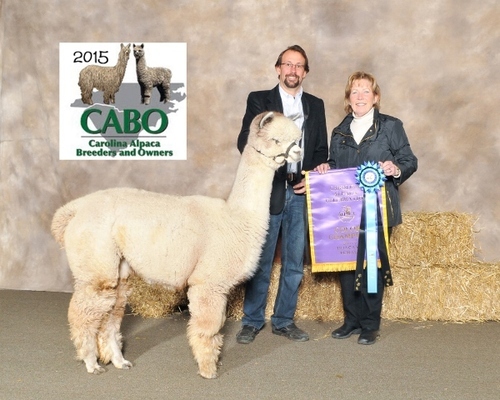 Congratulations to Tres Amigos Ranch and Nancy and Brian Thompson! 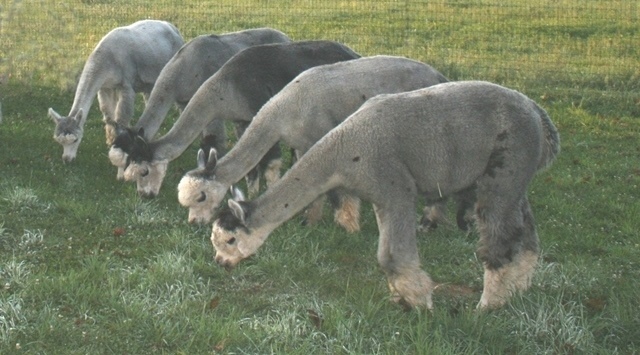 His offspring are capturing top honors. 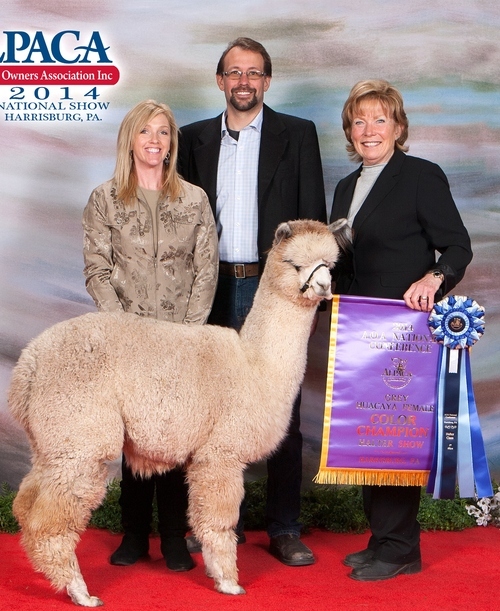 Gray Alpaca Co's Kenzie is 2014 AOBA Nationals Gray Champion! Update through 2015, Kenzie has now won 7 banners. 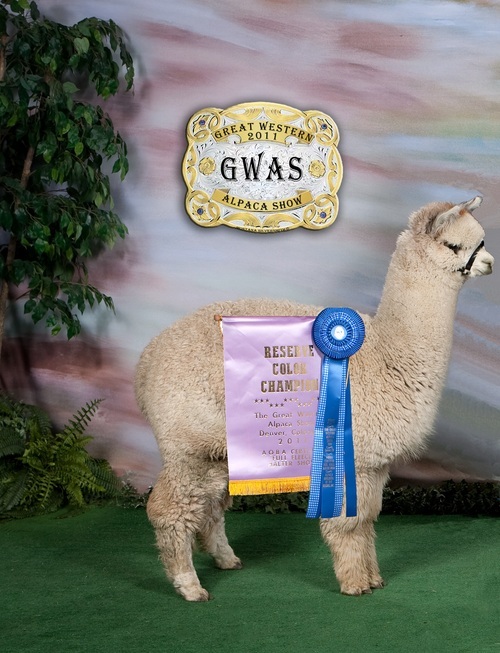 Additional banner winners include, Bomber's Avery who has won Judges Choice, Championships, and Reserve Champion, Autumn Sun's Dauntless - Color Champion, Gray Alpaca Co's Gray Enough - Color Champion, TAR Hazel - Reserve Champion, and the list is growing. 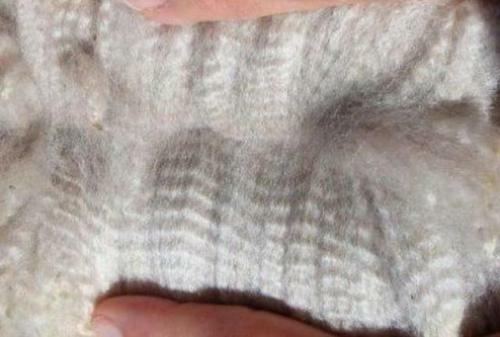 He won the Grey Color Championship at Nationals, and then topped the weekend off with winning Reserve Color Championship in fleece. 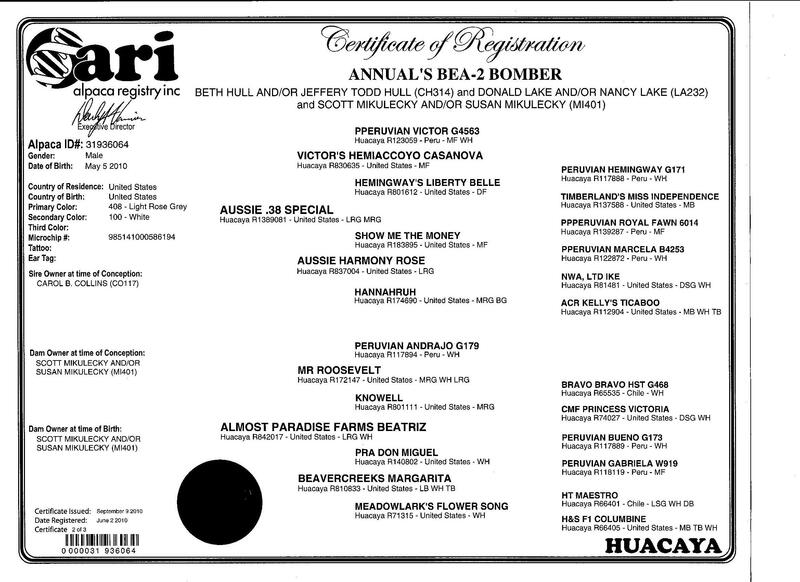 Bomber is just what we have been looking for, to combine with our Orlando and Tres bloodlines. He is the whole package with his consistency, fineness, density,and he is a beautiful lavender rose grey color.